Charlotte Barnes, who has served for the past 14 years as the Executive Assistant to the Dean and Business Manager for the College of Education, will retire this fall after 35 years of service to Auburn University. Barnes had eight siblings growing up, most of them younger than she was, so she had to work hard all of her life to help her parents with the household expenses. Barnes started first grade at the segregated Boykin Elementary, but spent her next 11 years in the newly-integrated Auburn City Schools. Besides that surprising start, Barnes said the rest of her school years were fun, rewarding, and filled with friends. “In addition to my regular academic curriculum, I took a series of business and office courses and by the time I graduated in 1979 I was actually job ready,” she said. Her job skills were sharpened by the professional focus she displayed growing up. In addition to helping at home, Barnes began working at Bonanza Steak House at age 15, and eventually graduated to a better job at Danver’s, a popular 1970s-era Auburn restaurant on the Opelika Highway, where she worked until her graduation. Barnes went in for an interview the following day and was hired on the spot. Years later she and Topel were reminiscing on their days working together and he asked Barnes if she knew how she ended up being hired so quickly. She said no. Barnes began as a typist, quickly advanced to staff secretary, and then took on a new role, unique to that time and place. After 21 years Barnes had become the Office Supervisor, which was as far as she could advance in the Animal Science Department. So, with very mixed feelings, she took a promotion and moved to the College of Education. 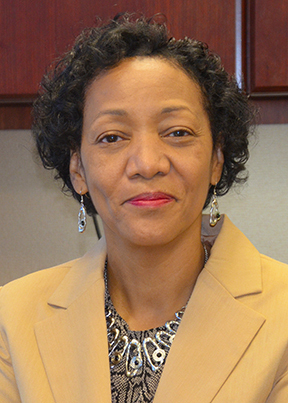 Barnes came in as Executive Assistant to then-Dean Fran Kochan. Her title was expanded to include Business Manager of the College a few years later. Barnes said the greatest challenge in her 14 years at the College has been balancing the annual budget. She called that aspect of her job “stressful but rewarding.” She has also enjoyed the Human Resources part of her work, having processed papers on perhaps 100 new employees over the years. She also added that her office colleagues, Sandy Davis and Cynthia Duffie, are very special to her. “We’ve been together so long that we are like sisters,” she said. But Barnes knows that all good things end and new adventures begin. When she was still in her mid-20s, Barnes briefly considered moving away from her Auburn career to pursue an attractive professional opportunity. But her husband Alfred talked to her about what really mattered and she has been grateful for his guidance ever since. Note: Mrs. Barnes will be honored for her 35 years of dedicated service to Auburn University at a reception on Friday, November 14, from 3:00-5:00 p.m., at the Auburn Alumni Center, located at 317 South College Street. All COE staff and faculty are invited to attend.